Until the storefront is up and running, please CONTACT me with any questions or to place an order. Thanks! The four styles listed are the most popular sizes for TYPE A stamps, but if you're looking for something else, big or small, email me. Orders shipPriority Mail in the US (outside the US? Email me for details). 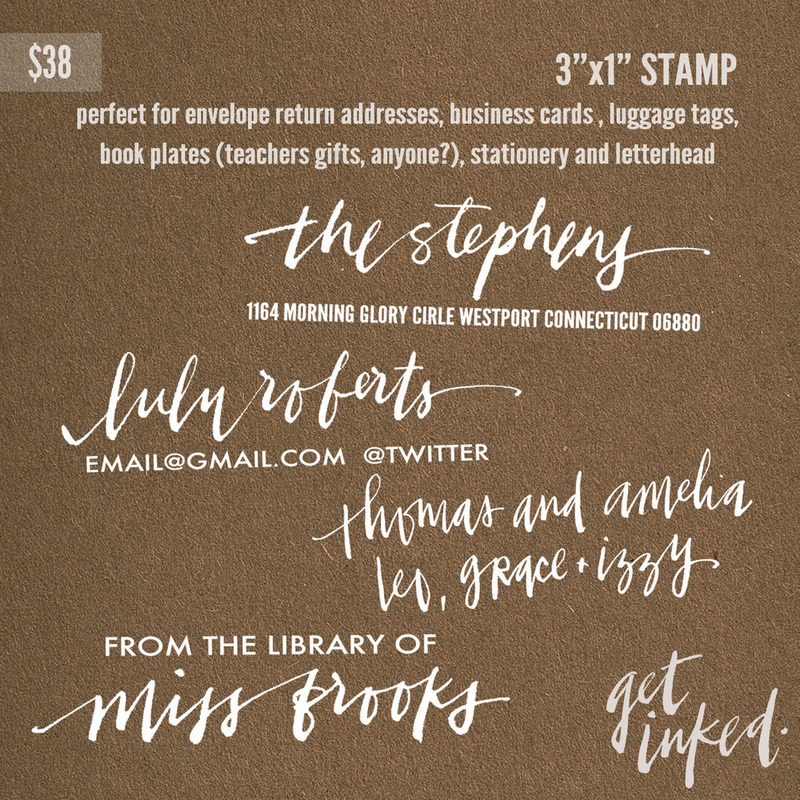 Digital proofs are sent within four business days of your order. Once they're approved for spelling, they'll be to you in approximately 10 working days. Need it sooner? We can work something out. The 3x1 address stamp is also available in a self-inking model (the self-inking size is approx 2.75"x1").